You are a successful, innovative software house that sees the potential for further expansion. You have realised that this objective cannot be achieved by relying purely on organic growth of your software R&D division and are looking for alternatives. 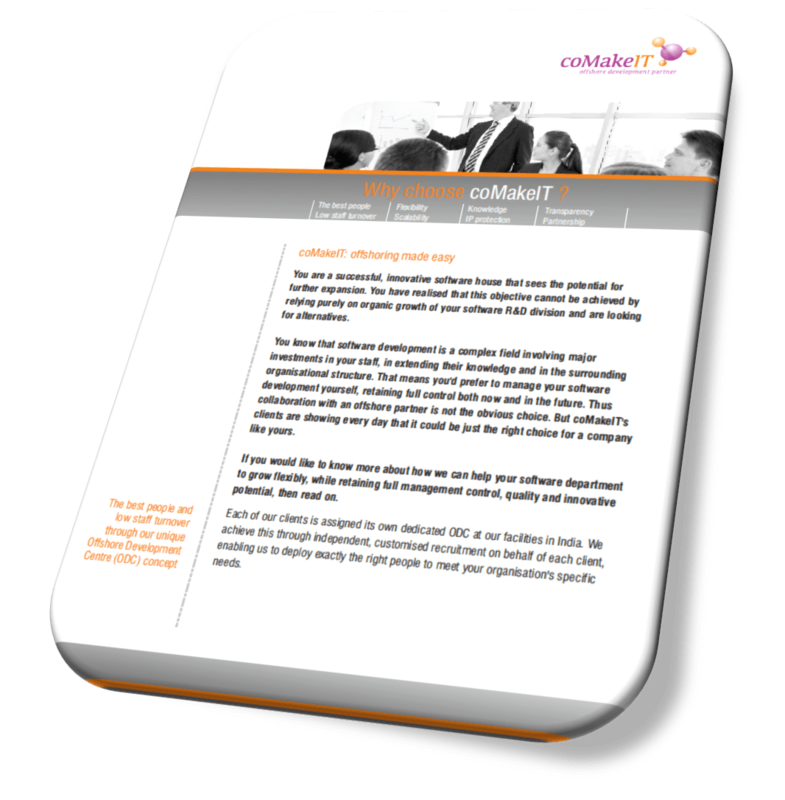 If you would like to know more about how we can help your software department to grow flexibly, while retaining full management control, quality and innovative potential, then download this brochure.